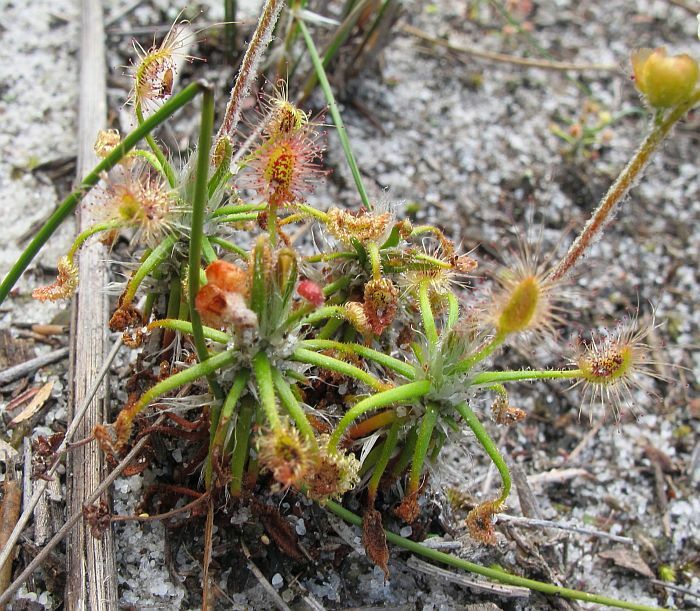 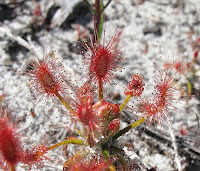 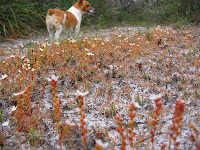 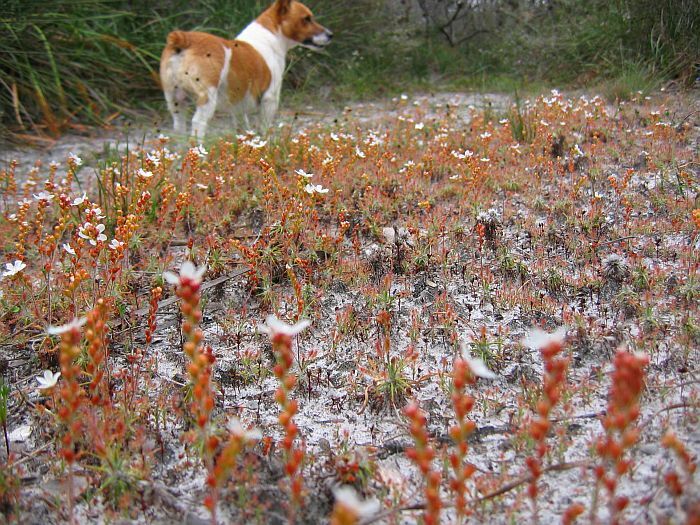 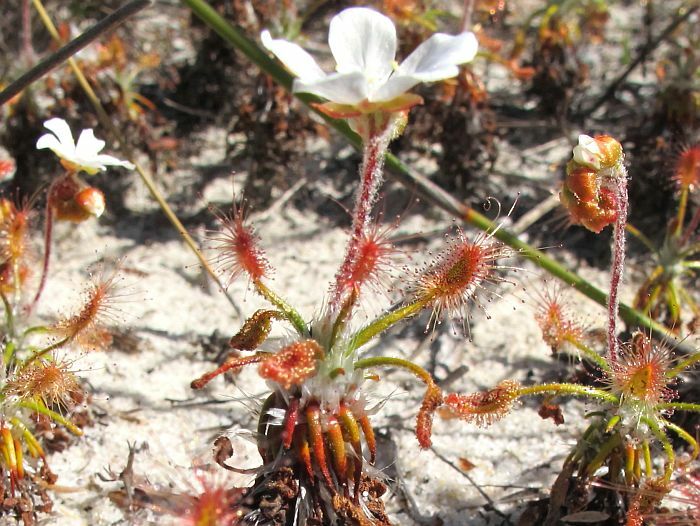 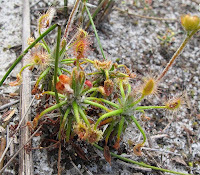 There are a number of perennial pygmy sundews, with the above being especially common in coastal and near coastal areas from Albany to east of Esperance and SE of Perth. 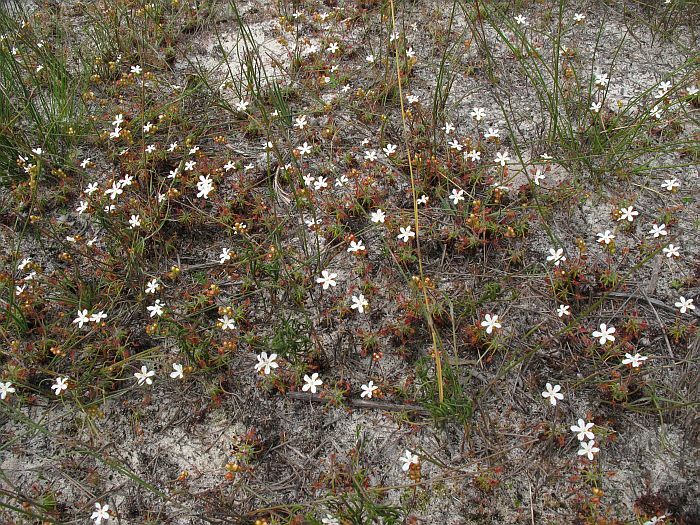 It is very much a colonising species, quickly developing into large compact colonies in cleared non-calcareous sandy soils. 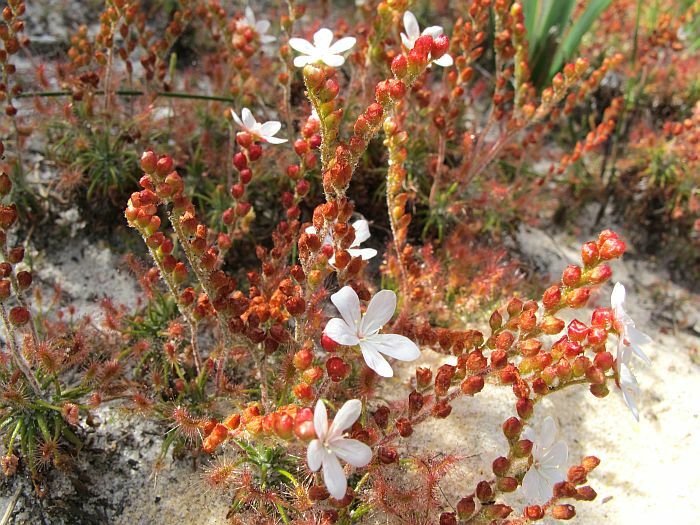 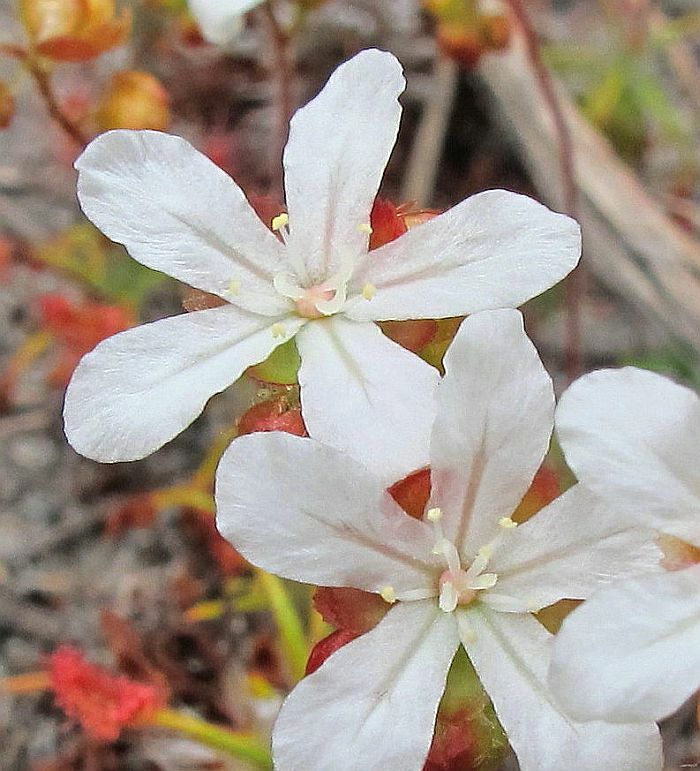 These tough little plants in their local heat reflecting deep white sandy habitat, are commonly found growing fully exposed to the sun, and will survive without ill-effect extremely hot days when official temperatures (in the shade) exceed 45 degrees C (over 110 degrees F). So I would imagine they must shut down during hot periods to revive when moisture returns and temperatures cool. The age of these plants can number several years, which may be judged by the old (dead) seasons growth around the base of the plant, which also act to channel moisture and shade the fibrous rootstock. 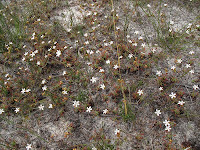 Being only a few centimetres (less than 2 inches) off the ground when not in flower, these plants need open places to grow so they are not smothered by larger vegetation. Therefore these small perennial herbs have adapted to harsh dry environmental conditions that restrict larger plant growth and where small open areas are naturally produced; they would not survive in a sheltered gully where plants continually battle for growing space. The scape can have up to 30 flowers that open one or two at a time. The flowers have white petals with either 3 or 4 styles and usually flower progressively from August to October, the latter period providing weather conditions remain mild. 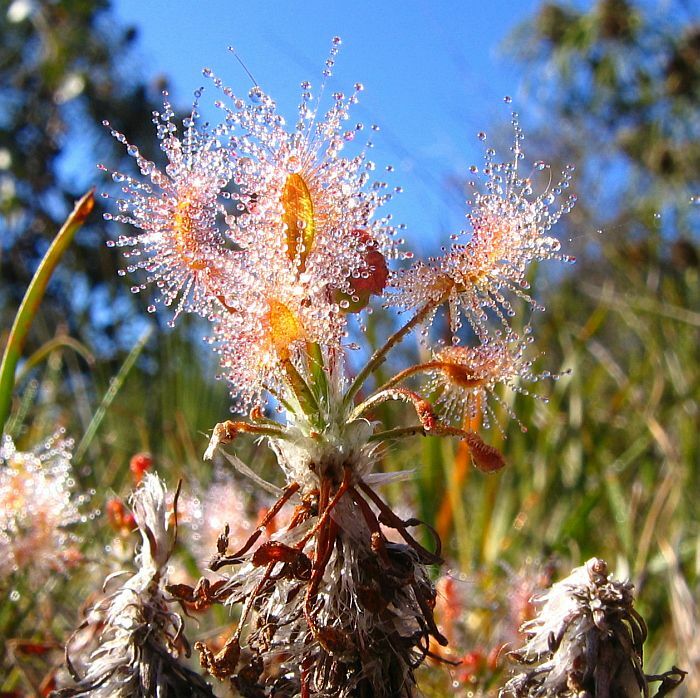 The elongated insect catching leaves are not only tipped with a sticky substance, but also catch any morning dew. 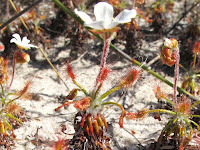 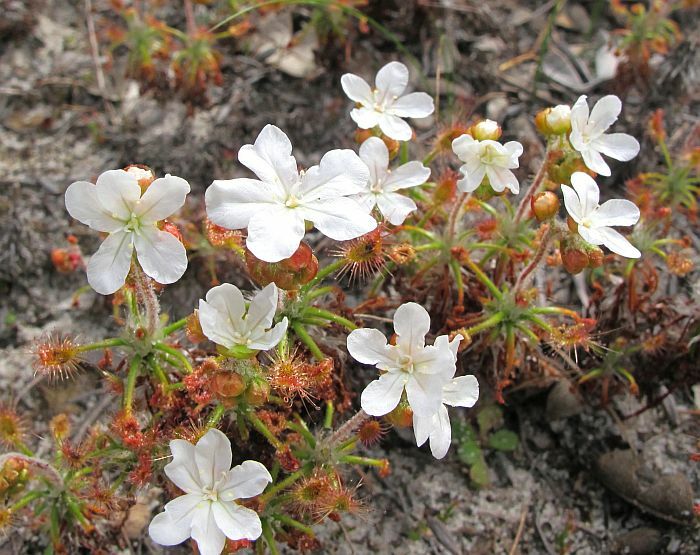 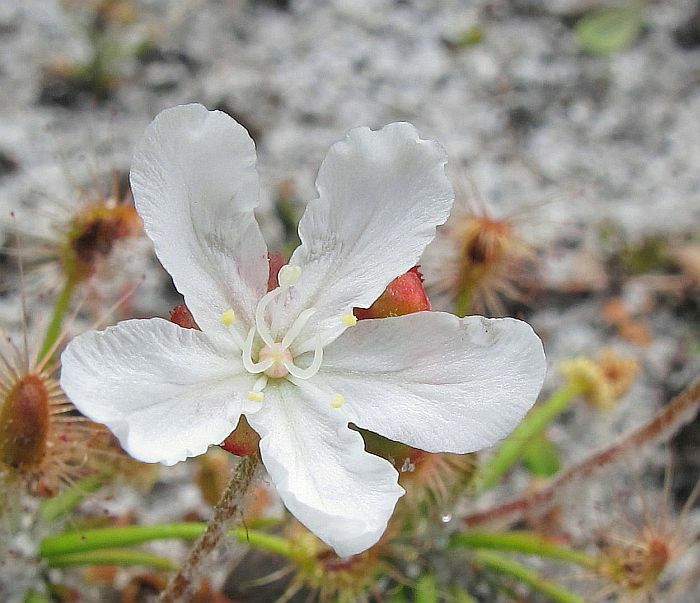 The genus Drosera belongs to the Droseraceae family.